High blood sugar occurs when your body can’t effectively transport sugar from blood into cells. When left unchecked, this can lead to diabetes. One study from 2012 reported that 12–14% of US adults had type 2 diabetes, while 37–38% were classified as pre-diabetic (1). This means that 50% of all US adults have diabetes or pre-diabetes. If you have problems with blood sugar control, you should routinely check your levels. This will help you learn how you respond to different activities and keep your blood sugar levels from getting either too high or too low (2). Bottom Line: Exercise increases insulin sensitivity and helps your muscles pick up sugars from the blood. This can lead to reduced blood sugar levels. The American Diabetes Association (ADA) recommends controlling carb intake by counting carbs or using a food exchange system (3). Some studies find that these methods can also help you plan your meals appropriately, which may further improve blood sugar control (4, 5). Many studies also show that a low-carb diet helps reduce blood sugar levels and prevent blood sugar spikes (6, 7, 8, 9). What’s more, a low-carb diet can help control blood sugar levels in the long run (10). Bottom Line: Carbs are broken down into glucose, which raises blood sugar levels. Reducing carbohydrate intake can help with blood sugar control. Fiber slows carb digestion and sugar absorption. For these reasons, it can help your blood sugar rise in a steadier, more controlled way. There are two kinds of fiber: insoluble and soluble. While both are important, soluble fiber specifically has been shown to lower blood sugar levels (11, 12, 13). Additionally, a high-fiber diet can help manage type 1 diabetes by improving blood sugar control and reducing blood sugar lows (13, 14). The recommended daily intake of fiber is about 25 grams for women and 38 grams for men. That’s about 14 grams for every 1,000 calories (15). Bottom Line: Eating plenty of fiber can help with blood sugar control, and soluble dietary fiber is the most effective. Hydration is a key factor for lowering blood sugar levels. During dehydration, the hormone vasopressin causes your liver to produce blood sugar, elevating its levels (16, 17, 18). Your kidneys then try to get rid of excess blood sugar through urine, making you lose water in the process. Keep in mind that water and other non-caloric beverages are best. Sugar-sweetened drinks raise blood glucose, drive weight gain and increase diabetes risk (20, 21). Bottom Line: Staying hydrated can reduce blood sugar levels and help prevent diabetes. Water is best. Portion control helps regulate calorie intake and can lead to weight loss (22, 23, 24). Consequentially, controlling your weight promotes healthy blood sugar levels and has been shown to reduce the risk of developing type 2 diabetes (22, 23, 25, 26, 27, 28). Monitoring your serving sizes also helps reduce calorie intake and subsequent blood sugar spikes (23, 24). Bottom Line: The more control you have over your serving sizes the better control you will have over your blood sugar levels. The glycemic index was developed to assess the body’s blood sugar response to foods that contain carbs (29). Both the amount and type of carbs determine how a food affects blood sugar levels (30, 31). Eating low-glycemic-index foods has been shown to reduce long-term blood sugar levels in type 1 and type 2 diabetics (32, 33). Although the glycemic index of foods is important, the amount of carbs consumed also matters (34, 35). Bottom Line: It’s important to choose foods with a low glycemic index and watch your overall carb intake. Stress can affect your blood sugar levels (36, 37). Hormones such as glucagon and cortisol are secreted during stress. These hormones cause blood sugar levels to go up (38, 39). One study showed that exercise, relaxation and meditation significantly reduced stress and lowered blood sugar levels for students (40). Exercises and relaxation methods like yoga and mindfulness-based stress reduction can also correct insulin secretion problems in chronic diabetes (40, 41, 42, 43, 44). Bottom Line: Controlling stress levels through exercise or relaxation methods such as yoga will help you control blood sugars. For example, keeping track helps you determine whether you need to make adjustments in meals or medications (31). It will also help you find out how your body reacts to certain foods (45, 46). Bottom Line: Checking your sugars and maintaining a log every day will help you adjust foods and medications to decrease your sugar levels. Getting enough sleep feels great and is necessary for good health (47). Poor sleeping habits and a lack of rest also affect blood sugar levels and insulin sensitivity. They can increase appetite and promote weight gain (48, 49). Sleep deprivation decreases the release of growth hormones and increases cortisol levels. Both of these play an important role in blood sugar control (47, 50, 51). Furthermore, good sleep is about both quantity and quality. It is best to get a sufficient amount of high-quality sleep every night (49). Bottom Line: Good sleep helps maintain blood sugar control and promote a healthy weight. Poor sleep can disrupt important metabolic hormones. Magnesium has also been shown to affect blood sugar levels, and magnesium deficiency has been linked to a higher risk of developing diabetes (31, 58, 59). Bottom Line: Eating foods rich in chromium and magnesium on a regular basis can help prevent deficiencies and reduce blood sugar problems. It increases blood sugar use by cells and decreases its production by the liver. It also reduces fasting blood sugar levels (62, 63, 64). What’s more, studies show that vinegar significantly influences your body’s response to sugars and improves insulin sensitivity (63, 65, 66, 67, 68, 69). Bottom Line: Adding apple cider vinegar to your diet can help your body in many ways, including reducing blood sugar levels. For one, it has been shown to improve insulin sensitivity by decreasing insulin resistance at the cellular level (70, 71). Studies show cinnamon can also lower blood sugar levels by up to 29% (72, 73, 74). It slows the breakdown of carbs in the digestive tract, which decreases the amount of blood sugar entering cells after a meal (75, 76). Cinnamon also acts in a similar way as insulin, although at a much slower rate (77). 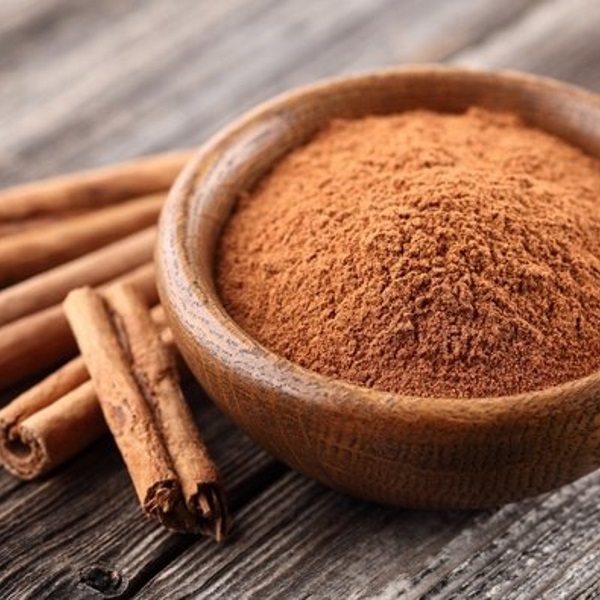 An effective dose is 1–6 grams of cinnamon per day, or about 0.5–2 teaspoons (78). However, definitely don’t take more than that since too much cinnamon can be harmful. Bottom Line: Cinnamon has been shown to reduce fasting blood sugar levels and improve insulin sensitivity. Berberine is the active component of a Chinese herb that’s been used to treat diabetes for thousands of years. Berberine has been shown to help lower blood sugar and enhance the breakdown of carbs for energy (79, 80, 81). What’s more, berberine may be as effective as some blood sugar lowering drugs. This makes it one of the most effective supplements for those with diabetes or pre-diabetes (79, 82). However, many of the mechanisms behind its effects are still unknown (81, 83). Additionally, it may have some side effects. Diarrhea, constipation, flatulence and abdominal pain have been reported (84). You can read more about this impressive supplement here: Berberine – The World’s Most Effective Supplement? Bottom Line: Berberine works well for lowering blood sugar levels and can help manage diabetes. However, it may have some digestive side effects. Many studies have shown that fenugreek can effectively lower blood sugar in diabetics. It also helps reduce fasting glucose and improve glucose tolerance (85, 86, 87, 88). Although not that popular, fenugreek can easily be added to baked goods to help treat diabetes. You can also make fenugreek flour or brew it into tea (89). Fenugreek seeds are also considered one of the safest herbs for diabetes (87, 88). Bottom Line: Consider giving fenugreek seeds a try. They are easy to add to your diet and can help regulate blood glucose levels. It’s a no-brainer that maintaining a healthy weight will improve your health and prevent future health problems. Weight control also promotes healthy blood sugar levels and has been shown to reduce your risk of developing diabetes (22, 23, 24, 25, 26). Even a 7% reduction in body weight can decrease your risk of developing diabetes by up to 58%, and it seems to work even better than medication (90). What’s more, these decreased risks can be sustained over the years (91, 92, 93). A measurement of 35 inches (88.9 cm) or more for women and 40 inches (101.6 cm) or more for men is associated with an increased risk of developing insulin resistance, high blood sugar levels and type 2 diabetes (94). Having a healthy waist measurement may be even more important than your overall weight (94). Bottom Line: Keeping a healthy weight and waistline will help you maintain normal blood sugar levels and decrease your risk of developing diabetes. Make sure to check with your doctor before making lifestyle changes or trying new supplements. This is particularly important if you have problems with blood sugar control or if you are taking medications to lower your sugar levels. That being said, if you are diabetic or have problems with blood sugar control, then you should start doing something about it as soon as possible.